If you want some green space for your home, but you have a small plot of land, or perhaps live in an apartment, these tips are for you! Small spaces can still make a big impact and provide that refreshing atmosphere you're looking for. You can even add greenery to tiny balconies, or to indoor rooms! Let us walk you through some tips for making your tiny garden dreams come true. The bright side is: with small gardens you don't need a big budget! 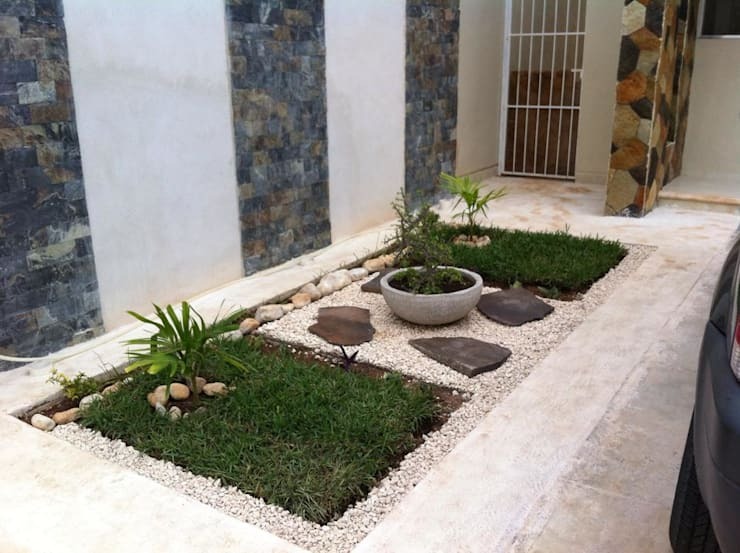 Constructora Asvial S.A de C.V.
You can make the most of your small patch of grass by adding some decorative elements that are symmetrical and small. Consider laying out a border of short plants or decorative rocks. Make a center piece out of flat rocks and a medium sized plant. Don't overwhelm this space with too many elements, you don't want it to look crowded. In bare and neglected backyards you'll find yourself wanting some privacy. Without mature trees or existing fencing you might be leaning towards a shrub to block out the view of the neighbors. Consider instead the low-maintenance option of a stone wall. You don't want to be asking the neighbours if you can enter their property to trim your hedge and hardy plants can need a few trims a year! Besides, stone walls can add style, interesting texture, and storage space. If you want to line the edge of your small space with garden beds, consider more stylish options for holding the plants than just the bare ground. Stone beds in L shapes are one option that make the space feel contained and add a natural feel. You could have the raised bed made out of wood instead, but you'll have to get wood that's been treated against rot. No matter what style you choose, try to find a bed that's a single piece for this small of a patio. Too many single pots will make the space look crowded. If there's no existing soil in your outdoor space you have the opportunity to use pots of all shapes and sizes to liven up the area. Consider using deep pots and adding tall plants, even tiny trees. They take up as much floor space as any large pot would, but they provide more vertical green for your enjoyment. Besides, once the tree has been established (for two years or so) it won't require any maintenance at all. If you don't have any outdoors space at all why not add plants inside? 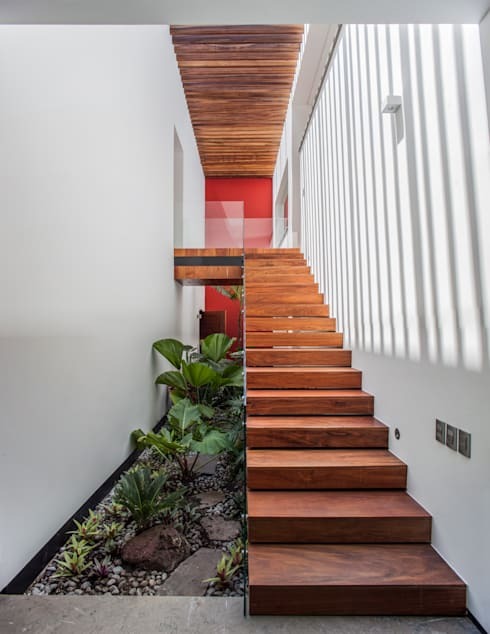 A stair-side garden is a stylish choice that sits in a space that's otherwise unusable. For this you'll want to consult with a landscape architect, because you don't want to cause water damage to your floor when you water the plants. Usually you'll need to lay down a sturdy liner in an area of your house that gets a lot of sunlight. You can even use desert plants that don't require frequent watering- but which have beautiful blooms! If you're planning out your indoor garden you'll want to pay special attention to the place where the garden meets the wall. 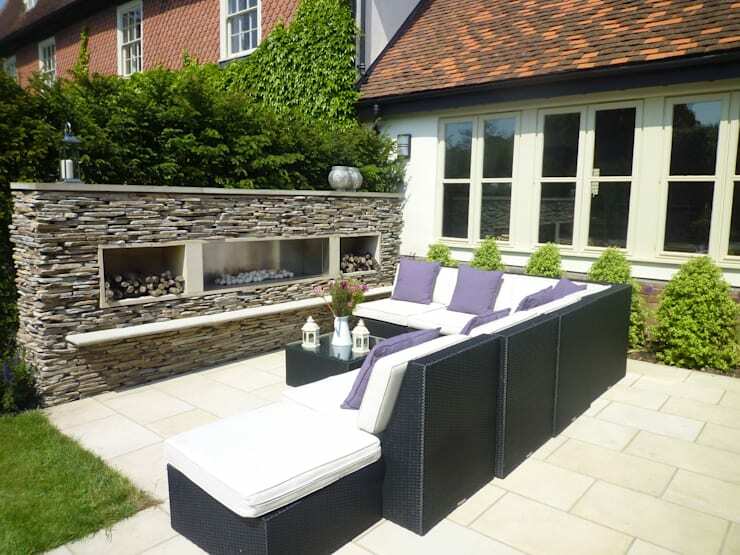 This area presents a wonderful opportunity to liven up your walls and link the garden with the rest of the house. Select some taller plants that will grow to various heights near the ceiling and the mid-line of the wall. Pick an interesting fence to border this section of the garden. If you want this garden's full and lively look you need to pay attention to the layering of your plants. There are at least four layers that you need to fill. The ground-cover layer is for grasses and very short plants like moss. 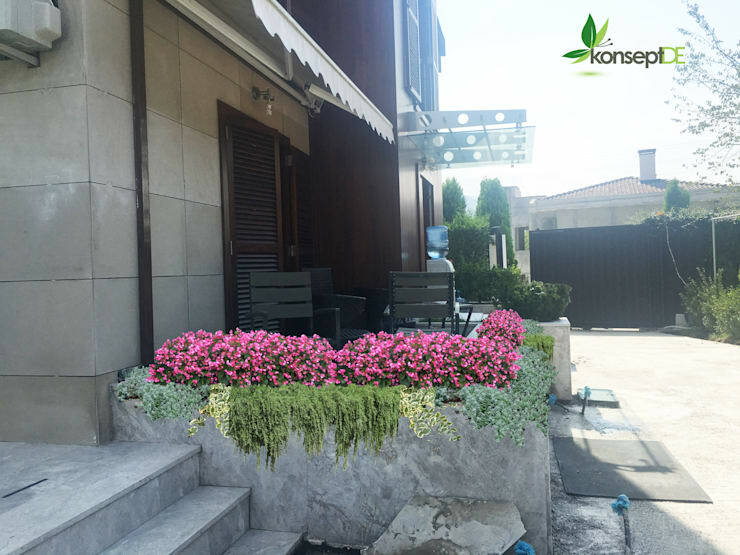 The next layer is a bit taller and you can fill it with decorative shrubs and taller plants. You should place this layer closer to the centre of your garden than the ground-cover, so that some ground-cover is visible on the edges. Next you'll want one or two much taller plants to put in the direct centre. 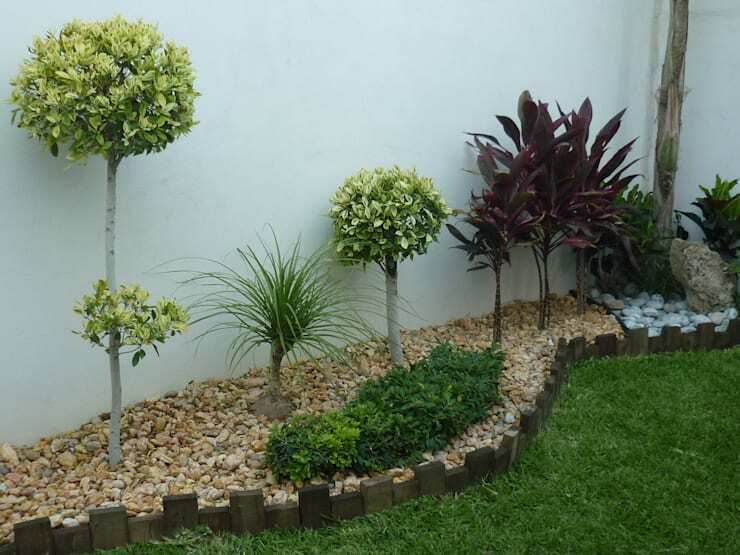 Consider this garden's short tree as an ideal height. The last layer, that's so very often overlooked, is vines! These beauties tie each layer together and add the essential fullness. Plant them along the wall, or let them scale the trees. There's nothing as peaceful as the trickle of water from a fountain. 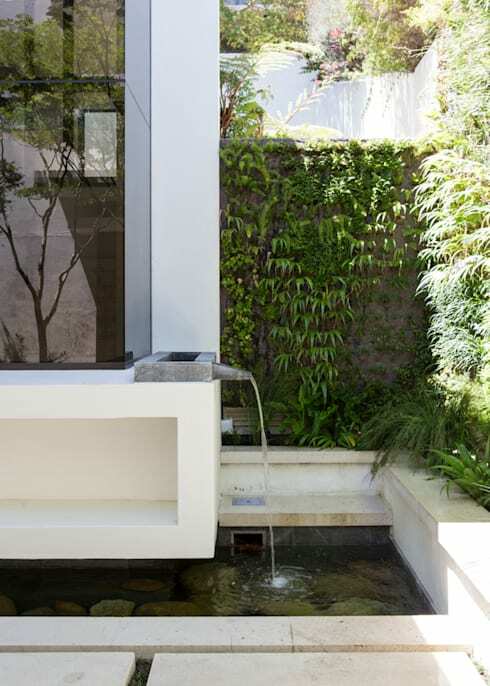 You may not have realized it, but you can get a small water feature to fit your tiny garden. This modern fountain has a very small spout that can sit on top of it's pool, saving you some room. 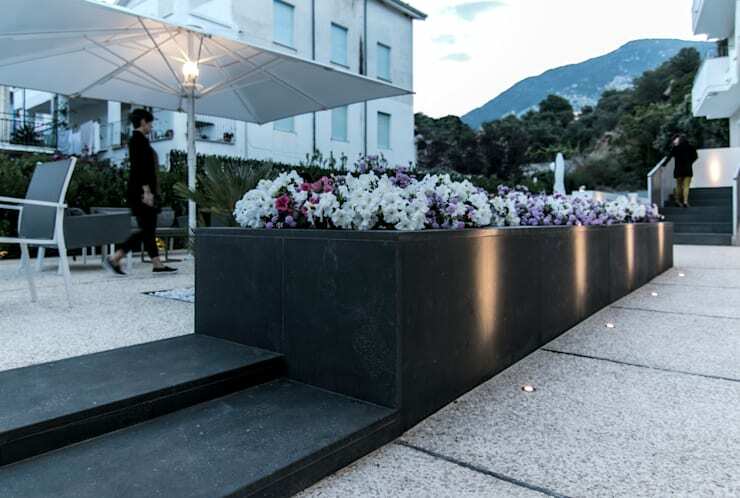 Alternatively, you could look for stand-alone fountains that can sit only a few inches high. We have more gorgeous water features to inspire you here. In a small space, you can't afford to have the garden look crowded. To avoid this, keep your plants, especially the flowers, in some kind of theme. Pick on or two colours, or just one or two shapes of flower, for the best look. 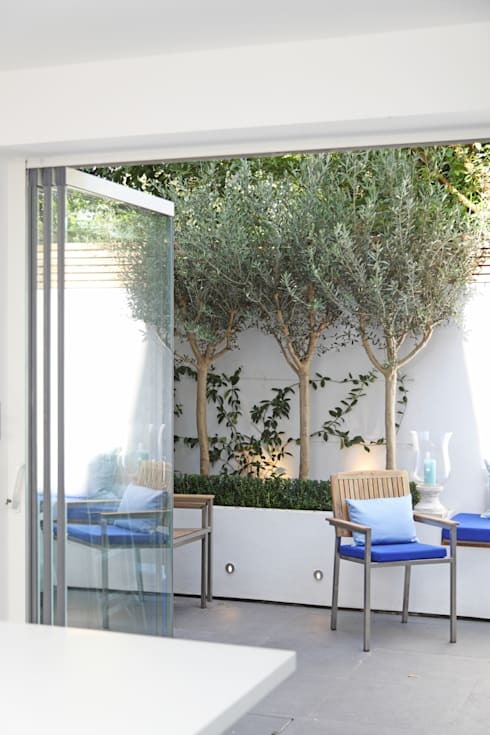 Want more garden inspiration? 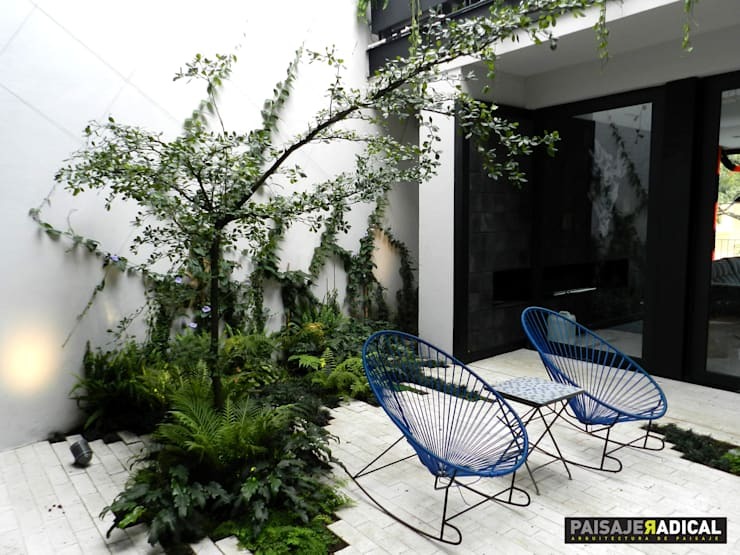 Here's a stylish home where the designers made the best of its small patio space!